As the global community earnestly look forward to 14th of November 2018 being the resumption date of court proceedings regarding the criminal invasion by the Nigerian army of Mazi Nnamdi Kanu's residence, it is important to unambiguously state here that the Nigerian State brazenly committed a war crime. The Nigerian army, acting under the firm directive of the presidency, attempted to assassinate Mazi Nnamdi Kanu on the 14th of September 2017, due to his resilient and courageous agitation drive for self-determination, as clearly outlined in both Nigerian and international laws. 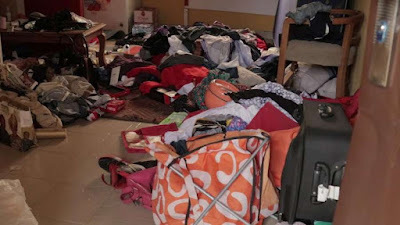 Justice Binta Nyako, the presiding judge of an Abuja-based Federal High Court has been derelict on both still and motion pictorial evidences tendered before her by the sureties and legal counsels of Mazi Nnamdi Kanu, which irrefutably identified the murderous Nigerian army, as despicably unleashing a terroristic raid in the residence of the victim, massacring 28 innocent Biafrans. They woefully failed to hit their target as plotted due to the gallant resistance of the volunteer security personnel of the Indigenous People of Biafra (IPOB). And now that Mazi Nnamdi Kanu has completely recovered from sustained injuries from that assassination attempt, he made a legendary revelational global broadcast, emphatically giving the narrative of his ordeals in the hands of the Nigerian army. He laid it bare that it was the IPOB Intelligence Security Guards (M Branch), that effectively succeeded in evacuating him and his aged parents amidst the array of deadly kitted soldiers, armored tanks and aerial surveillance aircraft during the Nigerian State-sponsored terrorist invasion. Before his reappearance on Friday 19th October 2018, he has remained incommunicado since 14th September 2017, while recovering from his sustained injuries. As the Nigerian government's proposed elimination attempt on the life of Mazi Nnamdi Kanu, is now a public knowledge, it is necessary that the organised international community, holds the Nigerian government accountable for the heinous crime committed against humanity. Recall that since the IPOB leader and the global family members commenced the agitation for Biafra independence in the year 2012, nobody throughout the world, has any record of arms bearing in whatever shape against him or his followers, irrespective of damnable provocations so far endured. The IPOB family members have never retaliated the array of grievous attacks meted against them by the security agencies of the occupational Islamic government of Nigeria. 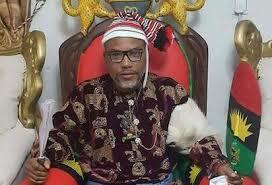 Mazi Nnamdi Kanu has very seriously maintained high level of decorum in his conduct as his Biafra independence agitation drive holds sway. He has equally intelligently managed his teeming number of followers the world over, with high degree of discipline even at the face of daunting aggressions. Why then is the Nigerian government hellbent in extra-judicially assassinating him? Why resorting to the bizarre choice of extra-judicial self help in handling the case already instituted before the court with Mazi Nnamdi Kanu? Has the Nigerian government so ridiculed her judicial system such that it has lost total confidence in the adjudication of justice? It must be clearly stated here that Justice (Mrs) Binta Nyako of an Abuja-based Federal High Court has no other option than to hold the Nigerian army accountable for the criminal invasion of the residence of an armless civilian who was serving bail duly granted him by the court. Justice Binta Nyako must understand that the time of comical script playing designed for her by the Nigerian government is well over and now is the ample time for her court to bravely dispense justice in order to extricate herself from professional disgrace. There is absolutely no responsible government, institution, organization or individuals all over the world in this 21st century, that will want to get associated or identified with a criminally-minded entity like Nigeria. As 14th November 2018 fastly approaches, the international community must obviously be on the lookout to the wisdom Justice Binta Nyako will adopt in bringing the operational commanders of Nigeria to the theatre of detailed explanation on who orchestrated the deployment of the Nigerian army that carried out the dastardly terrorist assassination attempt on the life of Mazi Nnamdi Kanu. This must have to be, before anyone would want to hear anything whatsoever from the sureties. 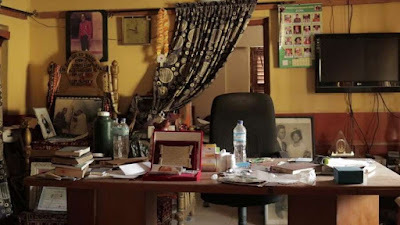 Failure to carry out this by the presiding judge, Justice Binta Nyako, will not only incriminate her as an accomplice in the war crime targeted against Mazi Nnamdi Kanu but grossly rubbish her professional reputation as a dispenser of the law. It was this same woman Justice of Nigeria that superintended over the dubious bail granted by the same court.